The PING G400 series of drivers have options for any type of golfer. The standard G400 offers distance and forgiveness for the majority of golfers. The G400 LST is perfect for those needing to cut spin down. Those fighting a slice gravitate toward the draw-biased G400 SFT. What else could the Arizona company bring to the table? Enter the G400 Max driver. 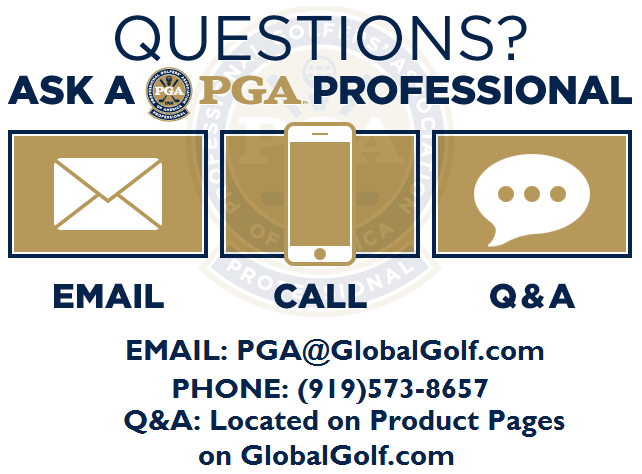 This latest PING driver has many of the same features that are seen in the rest of the G400 driver family. We go over these, but first, we look at what’s different on the G400 Max. The first big difference of the G400 Max driver is the size of the club head. Coming in at 460 ccs, the G400 Max is 15 ccs bigger than its brethren. This larger profile gives that little bit of extra forgiveness. The larger head also lowers the CG position to maximize the MOI to over 9,900, making it the most forgiving driver currently on the market. Inside the PING G400 Max are ribs designed to make the clubs sound, and therefore feel, better. 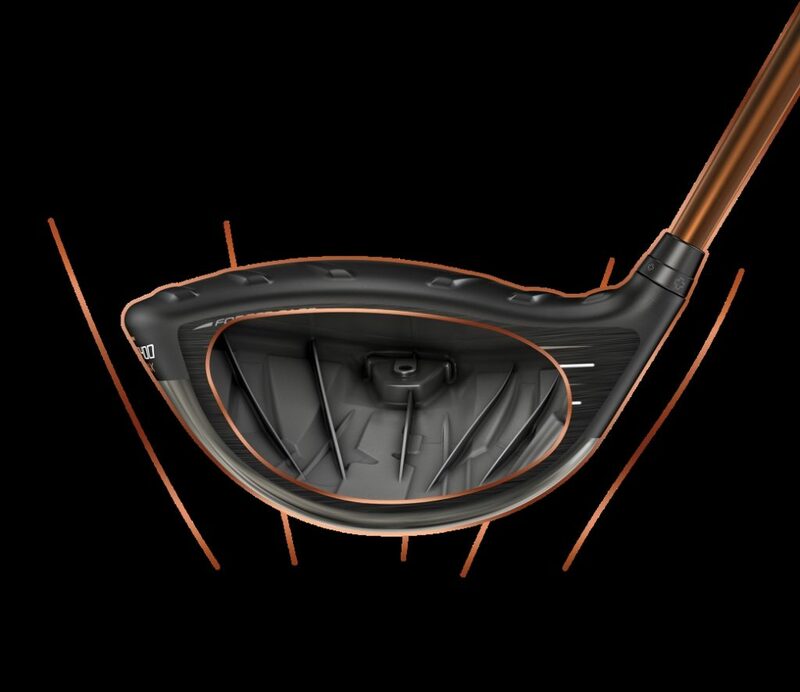 The ribs give the club a deep, muted sound at impact. 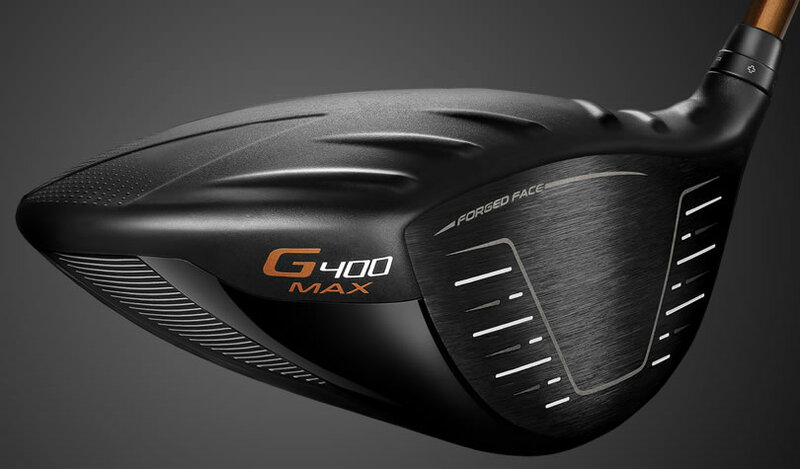 Looking at the face of the G400 Max, you’ll notice a different pattern. The rest of the G4oo drivers have straight lines that for a slight U-shape. On the G400 Max, the U-shape is pronounced with lines, helping to frame the ball easier at address. This easy alignment gives you more confidence in hitting a solid strike. The face also has a bit of roughness to it. PING says this was done to lower spin by increasing friction at impact. The G400 Max driver uses the same thin T9S+ forged face as the other G400 drivers. 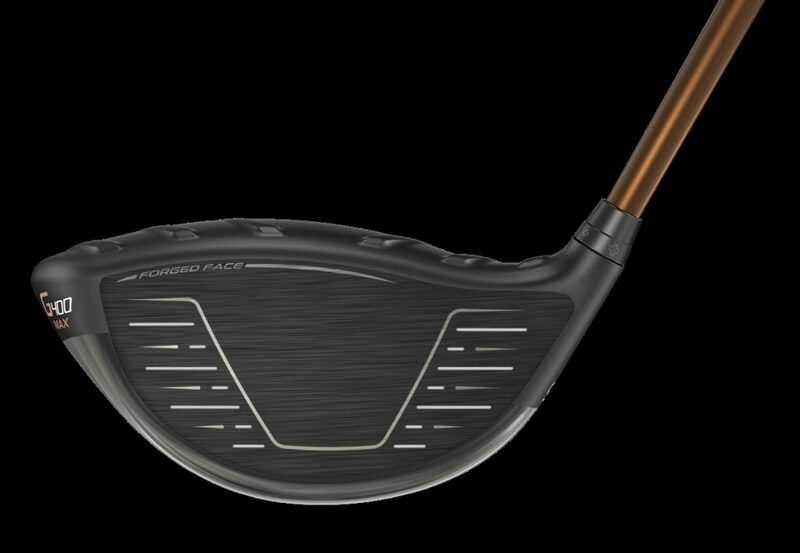 The material flexes more at impact than other steels, increasing ball speed and forgiveness across the face. The crown of the G400 Max also has Dragonfly technology and turbulators in common. 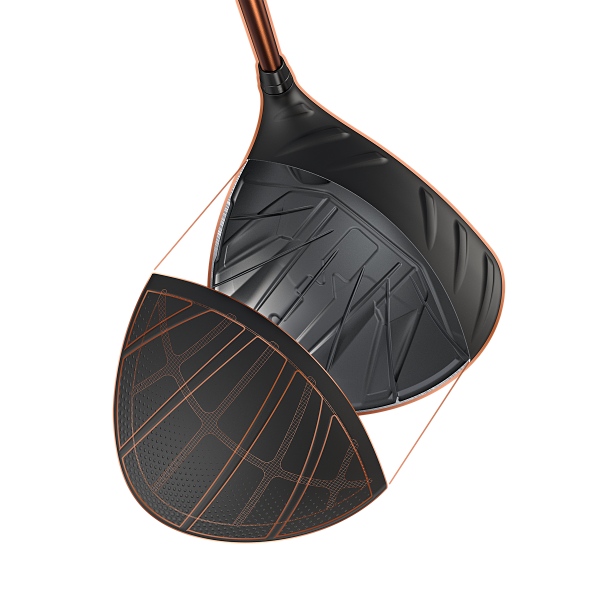 Dragonfly technology pairs with the turbulators to give better aerodynamics throughout the swing, helping the club swing faster. Dragonfly technology also saves weight and repositions it lower in the head to optimize launch conditions (high launch, low spin). The final shared feature is Vortec technology. As the club is swung, drag is created. Vortec technology improves the airflow n the downswing, helping increase club speed for added distance. The features that make up the G400 Max driver maximize key areas to help you get the most of your drives. 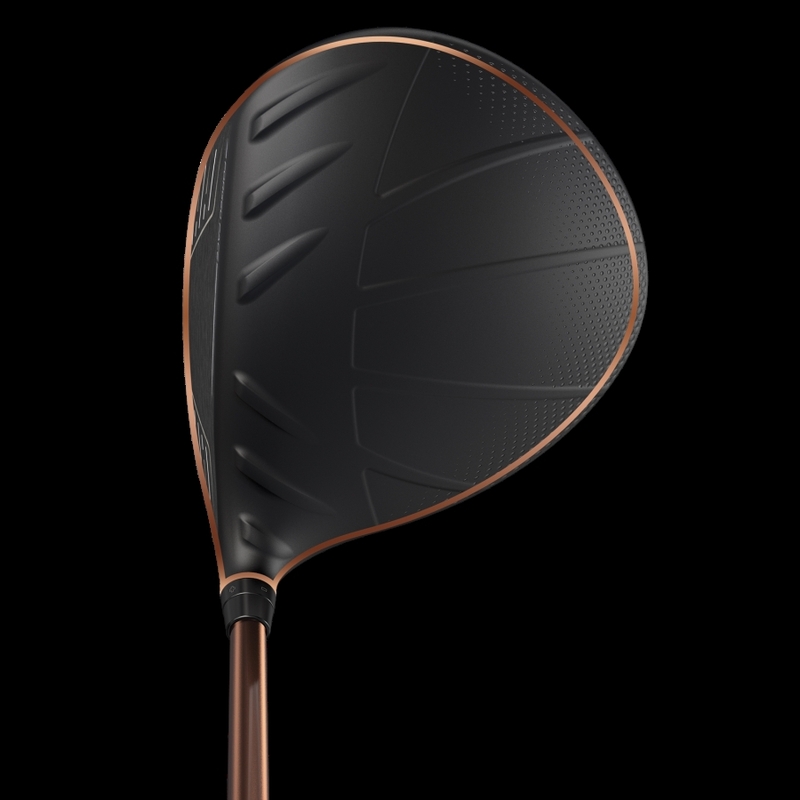 The driver’s large head and MOI maximizes forgiveness, internal ribs optimize sound/feel, and crown details beef up club speed. There are 3 stock shafts to chose from with 4 others available for an upcharge. As always, be sure to get fit to get what suits your game best.